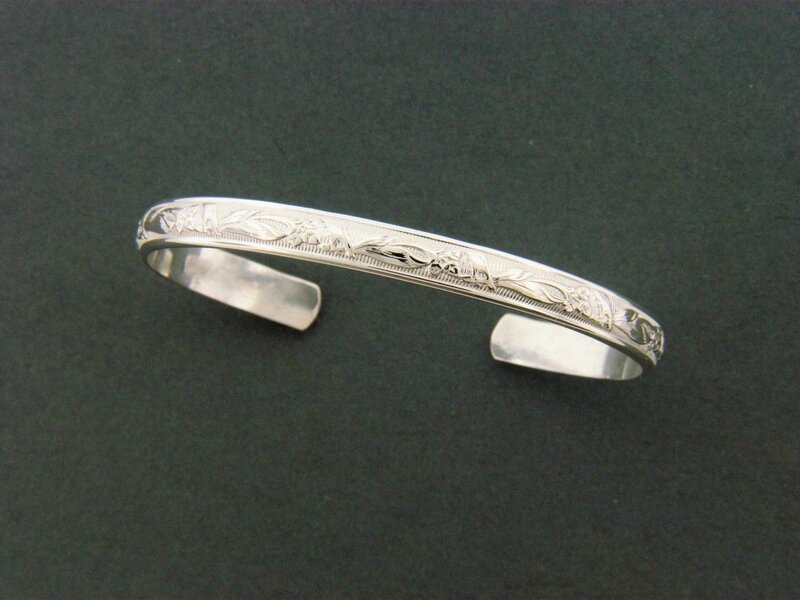 Handcrafted sterling silver .925 child's medium wide print cuff. Print is achieved by metal going through a rolling mill press. Available for any age group.